Reigning Porsche Wilson Security Carrera Cup Australia champion David Wall has secured his first victory of 2018 in race one at Hidden Valley Raceway, while an impressive performance by Adrian Flack saw the series rookie claim his maiden TAG Heuer Pro-Am win. Wall secured TAG Heuer Pole Position earlier on Saturday with a new qualifying lap record before leading into the opening corner of race one. Wall was unchallenged thereafter to eventually claim a one-second victory over series leader Jaxon Evans, while also posting a new race lap record. While Wall has placed inside the top four in seven of the season’s nine races, the Darwin win was the Sydneysider’s first since race one at Bathurst last season. “It’s good to get our first race win in the new car, which is slightly different to set up and drive to the previous version GT3 Cup car. I’m finally getting my head around it a little bit,” said Wall. Dylan O’Keeffe survived opening lap attacks to work his way back to third place by the chequered flag from James Moffat, who progressed to fourth from seventh on the grid following a four-place grid penalty for a qualifying infringement. Dale Wood dropped several positions as the race progressed after an inspired opening segment of the race. Cameron Hill qualified a career-high third place though dropped to sixth by the finish, while Nick McBride started second but struggled with locked tyres under braking to ultimately finish seventh. TAG Heuer Pro-Am reigning champion Stephen Grove was the quickest Pro-Am driver in qualifying, while Adrian Flack joined Grove at the front of the class in race one. Grove led the class until lap 13, when Flack moved to the lead and eventually took his maiden Pro-Am victory in his rookie Carrera Cup season. “It’s really the first time this year that we’ve had a good car underneath us. We did some testing a week ago and went through the processes. 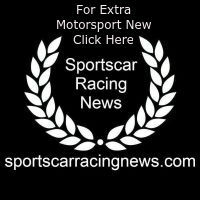 We’ve got our heads around it now and the boys did a great job to get the car to where it is now, which is just a beautiful race car,” said Flack. Grove placed second in the TAG Heuer Pro-Am ahead of class points leader Roger Lago, Tim Miles and Anthony Gilbertson, who recovered after a qualifying accident which saw him crash moments after setting the quickest time in the opening sector late in the session. 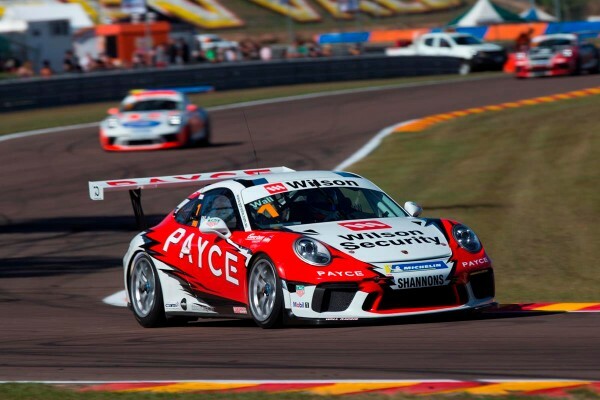 Porsche Wilson Security Carrera Cup Australia has two races remaining for round four in Darwin. The 18-lap race two will be held at 8:45am (local time) on Sunday morning before the third Endurance Cup race of the season is held at midday.